Thank you for viewing Advanced Network Consulting. We are a local, Southern California premier computer consulting company servicing Los Angeles and Orange County small and medium size businesses for nearly 20 years. 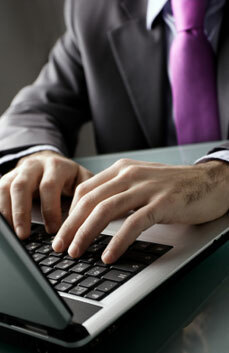 Our computer consultants are certified, with real, hands-on working experience, but are also personable and friendly. Irvine is the headquarters of many Orange County based, national and global businesses and we understand that all business have the ultimate goal of increasing profits. We are here to help achieve that goal. We offer on-site support, comprehensive maintenance packages, server support and more. In Irvine and neighboring Orange County cities, we’ve provided IT support for Audiologists, Non-Profits, CPA offices, Concierge Medical Services, Dental Manufacturers and Dental Offices, Law Firms, Public Relations, Escrow and Mortgage Offices, Chiropractors, Trucking Companies, and more. We understand the daily operations of small business, the complex needs of medium size businesses, and have the experience in managing large scale IT projects for large and global businesses. There are many components utilizing technology to your business advantage, and one often overlooked aspect is the complete stability of the network. Perhaps your Irvine business is looking for experts to manage and secure your IT infrastructure. Getting started is quite easy; just schedule a no pressure, one hour network evaluation and we’ll discuss your needs, wants, and overall goals. Our customized support packages start at an affordable $250/month. There are so many ways to make optimal use of technology in the workplace. Let’s meet and find the customized solution for your growing Irvine business. For new and prospective clients, we offer a complimentary one hour strategy session. Together we will develop and implement a working plan that grows with your business, while keeping goals and budget in mind. Thank you for the opportunity to service your business.